DELL Inspiron 7520 - mSATA Port? How can I find out whether my laptop connector for mSATA card. Problem is, that i can't find slot - where to connect it. In system info (in BIOS), there is note about mSATA : Not installed. RE: DELL Inspiron 7520 - mSATA Port? I’d be glad to assist you regarding the same and there is a MSATA on your computer. It is embedded on the motherboard on the daughterboard; please check the mage below which will give you information on the same. You can see mSATA listed on the main page of BIOS. Thank you for your reply, but I can't check it inside, because my laptop is under warranty. Probably is it possible to check on the service tag number? 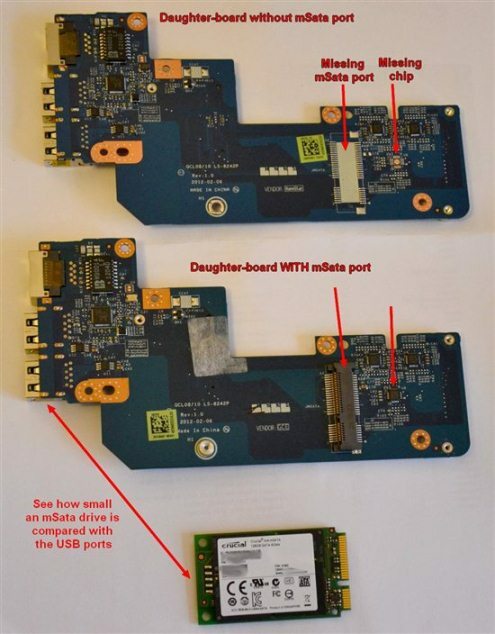 On the 15" models like yours, if you did not order the system with an mSATA drive, the daughterboard with the mSATA connector will not be present in the system. Some time ago, the exact same model had bought, and it was attended by the mSATA connector. Is it possible to learn on the service tag number, the presence of this connector in a laptop? Check the list of original equipment using the service tag (support.dell.com). If you don't see the mSATA daughterboard listed in the manifest, it's not there. Thank you for your response, we can also check the presence of mSATA on your computer from the Service tag, please provide us the Service tag of your computer on a private message so we can access your records and check the components present inside your computer. To send a private message, click on my user name and select send a Private Message and provide your service tag. Hi, even I have an Inspiron 15R SE. Could you tell if it supports the msata port? I am sending a private message with the service tag. 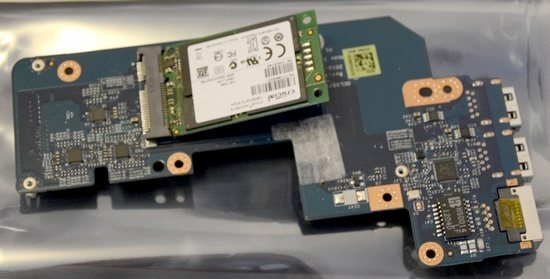 Unless the system came from the factory with the mSATA drive option, there will not be a connector for an mSATA drive in the system - you can add the daughterboard if you wish, but it won't be there in the system at present.